Now-a-days the problem of employee gap is eating away many of the citizens of this world. Everyone is determined to solve this by themselves as soon as possible for a better job or career. Having employee gaps means the wide difference between the skill you possess and the skills that are required of you or which is required by the company or career you opt. This is identified or detected by your personality, your attitude, the way you treat your customer, the views of your career or profession or the company you work in and your behavior with your seniors, peers, boss, manager or anyone superior from you in your age or position. It is sure time taking but as soon as you determine your employee gap, you can then move to get your necessary skills and staying top on your field. You can determine all these from the steps given below. The only person beside you who knows your employee gap is your boss. It is the right choice to go to the Person who knows your talents and defects if you to improve your performance. He knows your flaws or talents. You should ask him about your performance, take his review. Ask him about your strength or weakness, the way you interact with your clients and the way you can improve your skills. If you ever worked in a group you should also take their view as they are aware of interacting or diplomatic skills. You should also opt for any workshop to improve your skills or able to help you with your employee gap. Assessment center provides one of the most reliable solutions to help and employee. It is medium for filling out your employee gap and polishing your present skills. It Lets you determine what your job demands from you. They are a great help. However, their potential is in filling the employee gaps and introducing programs for the development. Assessment center usually provides exercises for determining your gap. They can help you in pinpointing your gaps. Ask your coworkers or boss that in which assessment program you should choose . Your performance is collected, calculated, evaluated and observed by competent personnel who expertise in the program you took part in. This will help you in knowing your level and the terms you need to require fulfilling the needs of that job. With this, the employee can get a clear view of the observation of his/her boss about their interaction, behavior, skills, personality and their usefulness in the project, job or organization. This will not only improve your interacting skills but the people from whom you once worked will pinpoint your skills or defects better than the others. It is more safe and comfortable to do that. From this, you can start your own assessment and can on your learning and growth. 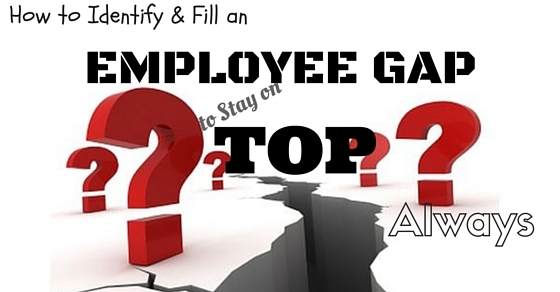 Here are the few tips you can use to determine your employee gap. Everyone around you can help you in knowing and solving your gap if you are ready to listen to them. Of course, one will get many views but you should act according to the requirement of the job. You should concentrate on your skills and try to improve them and this will also help in filling in your gap. So just do your best and help yourself in improving your skills. This will help you in determining your dream. Any kind of scorecard is only useful in its purpose when it is followed by a proper and meaningful feedback. You must make sure to check the scorecard from the boss so that you can get proper feedback on you performance and ensure that proper steps are taken in accordance with the feedback. A boss can motivate you to work in the proper manner and can help you to align your skills in accordance to the team’s or department’s vision. A traditional feedback is all about getting responses for your performance. A 360-degree feedback system is an advancement to that traditional feedback system. In this, you not only get to know about you from your seniors or guide but also from your colleagues and from yourself. It includes all the view from everyone which makes this feedback system more organic and intuitive to understand and implement. Even, a boss can get to know about your skills and abilities from all the levels and can provide you a practical approach to your improve your working capabilities and fill the gap. You can get to learn about yourself and make improvements at all the steps to become an ideal employee. Now it’s time to get into action and take deliberate steps to narrow the gap. This type of system is also known as competency-based performance management system. In this approach, each position is assigned with certain prerequisite skill requirement in order to carry out the everyday task of that position. This becomes very important to know about your position requirement so that you can identify the exact skills or abilities that you are lacking and can work on those skills to ensure that you are able to perform your daily task efficiently. It not only makes you competent but it also gives you an edge over others in the same position, thereby, increasing your chances to reach the top. The best way to fire your skills is to take help of a mentor. As a mentee, you not only get to discuss your problem in detail but you can also be ensured to get the required skills in the least resistant path. A mentor has a lot of resources to make skill acquiring efficient and an easy task. With lots of networks handy to a mentor, you can take an opportunity to improve your network base and find opportunities to tackle the issue in different perspective. Other than this, a mentor can best provide you with the chance to align your skill in accordance with the vision of the organization. With the increased load on all the employees to keep up with the pace of advancing technologies and on the employer to ensure that all the staffs are up to date. So many organization have started an initiative to offer training in the workplace itself. This ensures that you can keep a track on all the recent trends without harming your working hours. It is important to ensure that you attend only those training that is important to your job and is helpful either in short or long terms. Those training which is not applicable will only result in a waste of time and money. In order to get successful skills, it is important that you give your whole to a training or workshop program. In order to get the success, it is important that you take advantages of all the training that you take part in. Only when you give your heart and soul and take the effort to swallow new knowledge then only you will be able to notice the change in your skill set. It is never an easy task to gather skills but with handwork and determination it is possible to achieve success with great efficiency. We all know the positive benefits of acquiring a new skill through training. It directly enhances your work performance in terms of new knowledge gathered and better methods of working that are now unlocked to you. But you will also realize that training can also enhance your performance bu giving you a morale boost in the way that you now feel more confident about your worth in the department and are willing to deliver more to the work. Unlike training, a workshop is more of a two-way platform where the person getting training can interact in a real environment and can acquire more skills in a more informal situation. Usually used for technical skills, this type of learning is also suitable for soft skills. In a workshop, you are in charge of your own learning, this gives the power to learn exact skills according to your position requirement and competency level. Also, you can even fine tune the workshop as per your need to make sure that you can extract most out of a workshop. Skills require you to get updated with recent advancements in the technologies. It will help you to boost your learning skills to the next level in the fastest way possible. If you have not considered it yet then it gets opportunity to learn ways to gather new skills and technologies and open up the portal to rocket speed advancement in career. In order to ensure that you get best out of the previous tips, follow the following instruction. It is said that it is easy to reach at the top than to maintain it. It is necessary for you to ensure that you maintain your position at the top of the leader board in your competency. The first step you should take in this regard is to take feedback after your training is over. This will keep you on track and you will be better able to assess the reality as to how much you have gathered the skills and what improvement you can do to keep yourself competent. The best way to ensure that you have the required skills is to retake the assessment test. No other way can give you such assurance as this one. It can prevent you from getting a false impression about your skills and can enlighten you about the areas where you still need to work your way out. It is equally important to give your feedback to the training and workshops in order to make sure that the training and workshops are improved and fine tune according to your need. You can even provide a solution to a problem in the current training or workshop format so that future employees can ripe its benefits. After all the long term training, seminars, meeting and workshop it is really important that you acknowledge about all this to your boss. The boss will surely get to learn bout your effort and will address your skill gap problem in better way. Use this time to discuss your current improvement in your competency level, if there is any lack of skill and how to improve on that, and which method or strategy will be best to make sure that you can be at the top of the competition. The last thing at the end of the day is to strive for earning skills continuously to keep yourself updated with the current trend and have a learning mind to absorb new knowledge and learning whenever possible. It will not only male you better at you work but it will also improve your personality at an overall level. With your continuous effort, you can impress your employer that you are indeed a hardworking person and is a valuable asset which company cannot afford to lose. The gap in your skill can be a great problem in your way to reaching the highest level of competency but it can be easily put to a check so that you can assure that it does not become an obstacle in your path to success. Continuously striving for improvement and getting constant feedback can ensure your path to success.